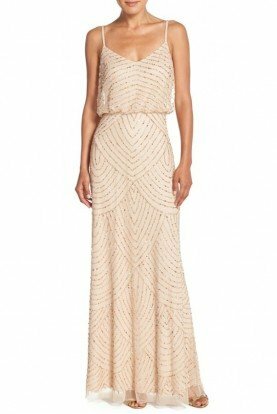 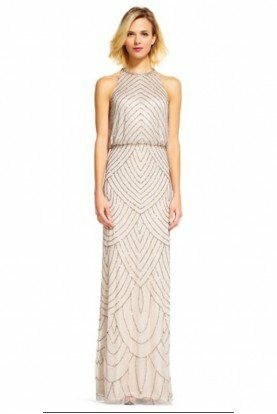 Simple yet glam lines of beading are center stage in this glamorous gown. 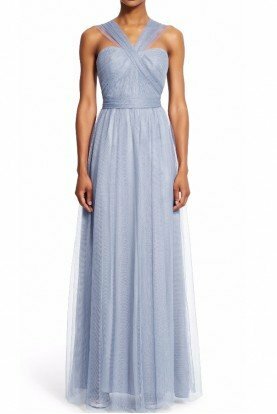 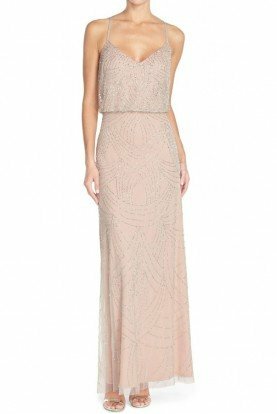 This formal dress features a sleeveless blouson bodice, sheer neckline and back, keyhole back, and all over fringe-inspired beading. 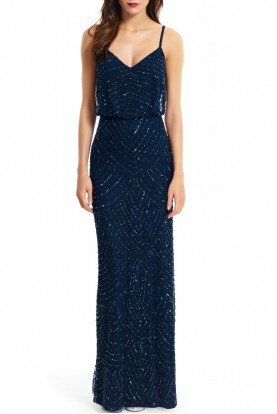 Paired with metallic heels, this gown sparkles.